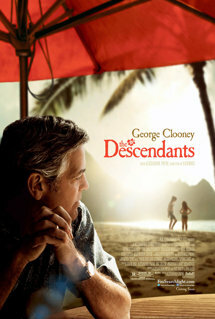 From Alexander Payne, the creator of the Oscar-winning 'Sideways,' 'The Descendants' is set in Hawaii and follows the unpredictable journey of an American family at a crossroads. Matt King (George Clooney), a husband and father of two girls, must re-examine his past and navigate his future when his wife is in a boating accident off Waikiki. He awkwardly attempts to repair his relationship with his daughters -- 10-year-old precocious Scottie (Amara Miller) and rebellious 17-year-old Alexandra (Shailene Woodley) -- while wrestling with a decision to sell his family's land. Handed down from Hawaiian royalty and missionaries, the Kings own some of the last priceless virgin parcels of tropical beach in the islands. When Alexandra drops the bombshell that her mother was in the midst of a romantic fling at the time of the accident, Matt has to take a whole new look at his life, not to mention his legacy, during a week of momentous decisions. 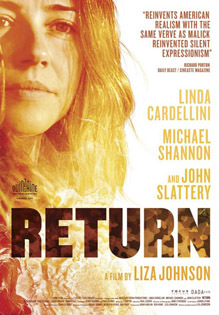 With his girls in tow, he embarks on a haphazard search for his wife's lover. Along the way, in encounters alternately funny, troublesome and transcendent, he realizes he's finally on course toward rebuilding his life and family.